Beach Pet Hospital utilizes the latest technologies and most current techniques to practice the highest level of medical care possible for your pet. In addition, we emphasize pet wellness, preventative care and client education, recognizing that all are the basis for a healthier, happier, longer life for your pet. We embrace the human-animal bond and treat and love your pet as if it were one of our own. 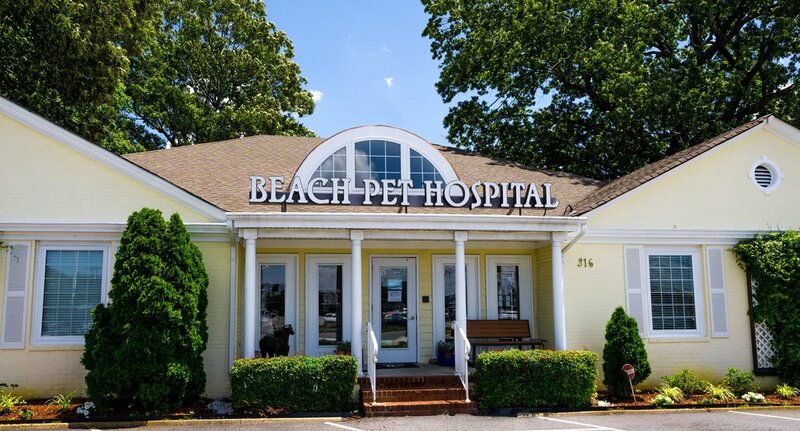 Our veterinarians and staff are here to welcome you and your pet into the Beach Pet family. The importance of good dental health cannot be stressed enough. Being an AAHA approved hospital, we follow their guidelines and recommendations with state of the art equipment. Thanks to advances in veterinary medicine, pets are living longer than ever before. However, studies have shown that as many as 23% of senior dogs that appear healthy upon physical examination have an underlying disease. in-house medications, for the less common medications, we sometimes write prescriptions to be filled at local pharmacies. Less than 14 percent of North American veterinary hospitals are accredited by the American Animal Hospital Association (AAHA) and Beach Pet Hospital is proud to be a part of that elite group. AAHA accreditation means that we meet strict standards for excellence in all areas of patient care, surgery and sanitation. Regular AAHA evaluation, inspection and consultations assure you of the highest quality care each and every time you trust your pet to our team of professionals.